The winner of the 3rd annual Homebound Publications Poetry Prize is Linda Flaherty Haltmaier for her collection Rolling Up the Sky. The collection was selected by the Homebound Publications editorial staff from nearly 100 entries. 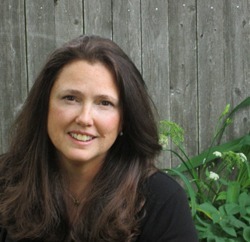 Linda is an award-winning writer of screenplays and fiction. Her first collection of poetry, Catch and Release, was published by Finishing Line Press in April 2015. Her poems have appeared in Canopic Jar, Mad Swirl, Beyond Babylon, and more. She recently completed a writer’s residency at the Noepe Center for Literary Arts on Martha’s Vineyard. A Harvard graduate, Linda lives on Boston’s North Shore with her husband and daughter. (Look for Rolling Up the Sky in paperback and ebook April 2016!). Thank you to all the poets who entered. Congratulations to our winner and honorable mentions!